These days we are used to phones getting bigger and bigger, a trend started by the iPhone and its successors. But ten years ago there was still a trend to make phones smaller with each generation, and the Toshiba G450 and Onyx Liscio are examples of that. The Toshiba G450 remains one of the weirdest phones ever. This tiny 57 gram phone featured two circular keypads and a tiny 0.8” display. Although the MP3 capabilities and 160MB of memory gave it some basic capabilities as a media player, the G450 was actually designed for something else. In the days before ubiquitous WiFi and smartphone tethering, if you wanted to get your laptop online on the move you would often use a 3G dongle that you would plug into a USB port. Basically, the G450 was exactly that… but a dongle that you could make phone calls on. 3.5G data support meant that it was practical to use for mobile data, but you could also use it for basic phone functions if you needed to. 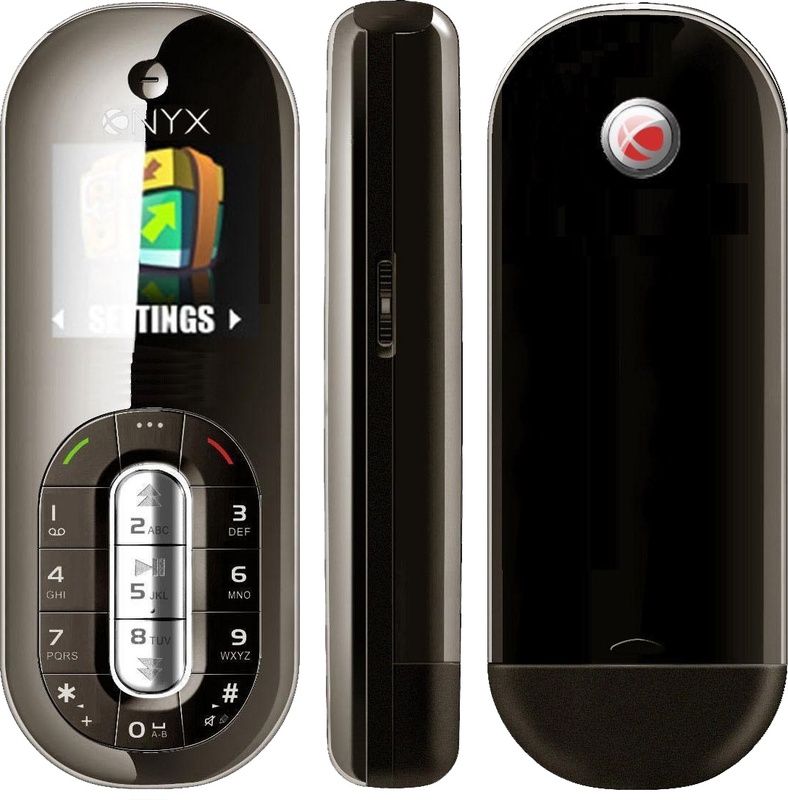 A similar size but with a different emphasis, the Onyx Liscio was designed to be a fully-featured 2G phone that you would use as a second handset when you didn’t want to take your main one – for example, on a night out. The screen was only a little larger than the Toshiba, but the 1.1” screen was an OLED display which was still quite rare. 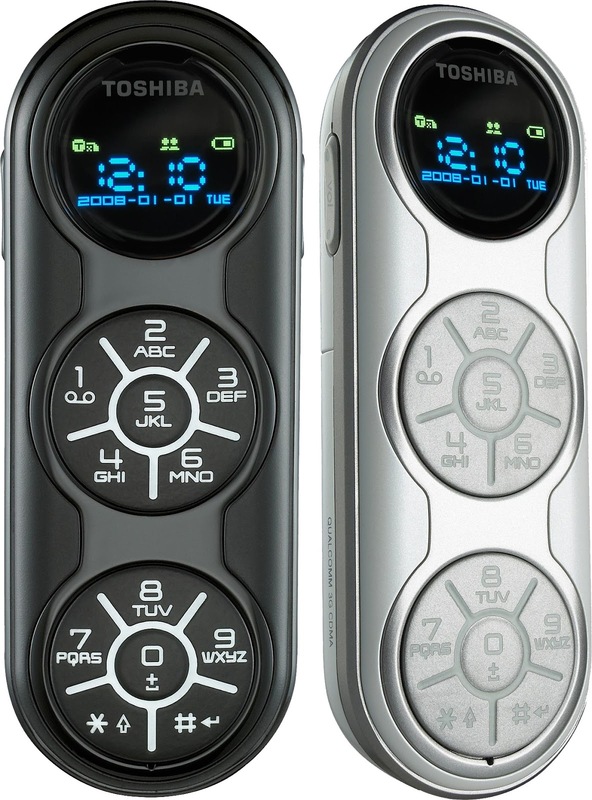 Unlike the G450, the Liscio also supported Bluetooth and had a microSD slot, but it didn’t support 3G data. Priced at about €135 when new, the Liscio was about have the cost of a typical midrange phone of the time, so it would be a bit less financially painful if it got run over by a taxi. But not much. And since you could just by an ultra-basic Nokia for a lot less, it didn’t really make much financial sense. And it turned out that the Liscio was actually an 18-month old Haier handset which could be bought cheaper elsewhere. It might not come as a surprise to discover that neither device was much of a success. The Toshiba G450 was just far too weird, and people who wanted a 3G dongle for their laptops probably just bought a 3G dongle. The Liscio was overpriced and under-powered, even though the basic idea seemed sound. Both handsets are very rare these days, but from time-to-time the Toshiba G450 does crop up for about €70 or so. If you like collecting weird-looking devices then the G450 might well be something worth seeking out for your collection.